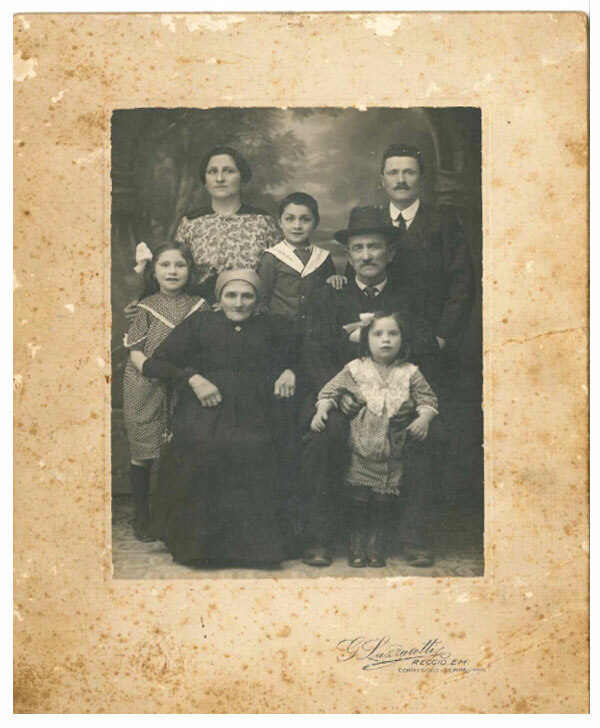 Back in 1918, in keeping with a long-established family tradition, Luigi Ferretti’s father gave him a small barrel of balsamic vinegar dated 1890. By this time, Luigi had already lived live to the full and acquired a wealth of experiences; at the time, he had just returned from Argentina, where he had moved with his family some 20 years earlier. In what was then considered the “New World”, in Bahìa Blanca to be precise, he had opened up and managed a small wine cellar and hostelry along with his wife. The couple’s three children were born there, but they missed their native Reggio Emilia so much that they decided to return to Italy and settle in the town centre, near Piazza Fontanesi. The barrel he had received from his father was housed in the attic of the typical dwelling in the town, where it was gradually joined by others to form the family vinegar business. 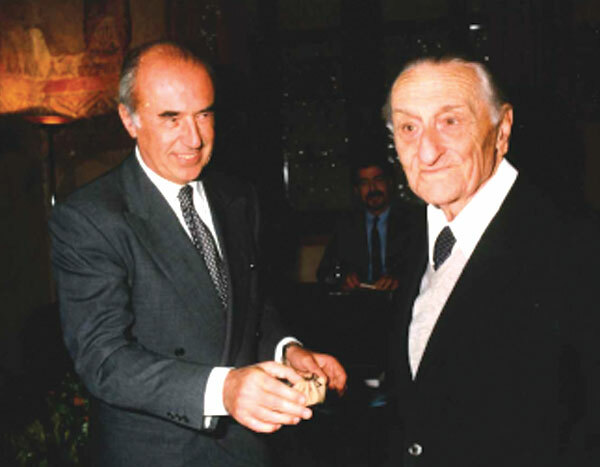 In the years that followed, Luigi began working as a dealer in wines and oenological products, an activity he engaged in with reasonable success until the early Sixties. 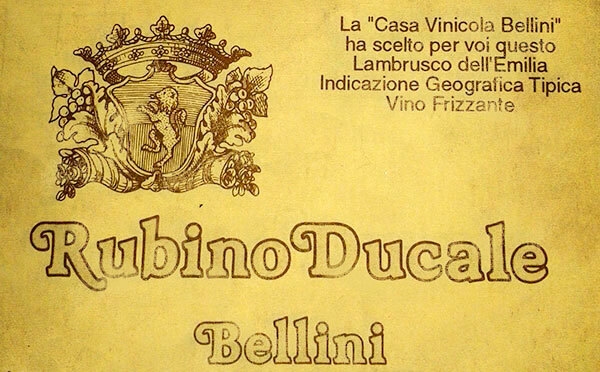 Luigi’s first-born son Libero followed in his father’s footsteps, acquiring expert knowledge over the years and becoming an excellent wine-taster. Thanks to this expertise and to his passion for wine, he accepted an offer to move to the Puglia region, to San Pietro Vernotico (Lecce), to manage the Gallinari wine cellar, during the difficult years of the Second World War. Towards the end of the war, in 1943, he returned to Reggio Emilia and moved into a new home near the station, where he brought the invaluable family barrels. After his father Luigi died, Libero stepped into his father’s shoes in the world of wine, as well as expanding the vinegar business with barrels from the families of friends, who were pleased to place them in safe, reliable hands since they were no longer able to take care of them. The experience Libero gained over the years earned him the role of trusted consultant to many owners of the prized vinegar. In just a few years, he became the key figure everyone in the field turned to in the town and the province, and together with his friends Ottavio Iori and Ferdinando Cavalli, was one of the names behind the establishment of the Consortium for the Protection of Traditional Balsamic Vinegar from Reggio Emilia. 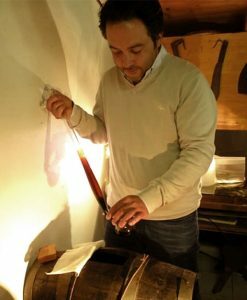 As a member of the newly established “Confraternita dell’Aceto Balsamico Tradizionale”, Libero soon became one of the top official tasters, highly esteemed and remembered to this day for his talents. 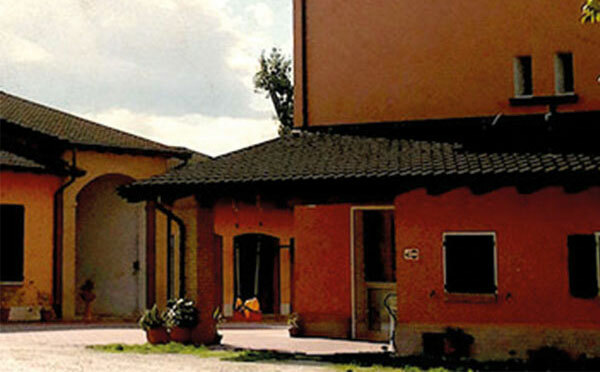 In 1984, he decided to move, together with his precious barrels, to the nearby village of Bagno, to the home of his daughter Lucia, where he died in 1998, at the age of ninety. Libero’s invaluable legacy was taken up by his daughter Lucia, whose husband Giuseppe has joined her in investing passion and commitment in the family vinegar business. In the early 2000s, following the restructuring of the whole business, Giuseppe decided to dedicate the entire attic of a splendid building constructed opposite their home to the barrels of prized balsamic vinegar, thus creating the perfect environment for the slow aging of the product. “I met Valeria, the daughter of Lucia and Giuseppe and grand-daughter of Libero, in summer 2008. In just a few years, our relationship blossomed, our plans took shape, and we renovated “our” home within the family business. 2013 was a landmark year for us, with the arrival of our first child, Viola. In the short time since, Viola has made us better people, with the awareness that life is also about duties and obligations. And our most important duty proved to be the continuation of the business founded by granddad Libero, investing the same passion for balsamic vinegar that has run in the family for 3 generations. It thus felt entirely natural to approach those little barrels carefully conserved in the vinegar factory, savouring the aromas, the shifts in flavour from one season to the next, marvelling at how the passing of time and the hand of Man can create genuine masterpieces like balsamic vinegar. The awareness of this splendid little heritage of ours, and the desire to bring it to the attention of as many people as possible, persuaded us to embark upon this new adventure….a new business all of our own. The FERRETTI – CORRADINI vinegar factory opened its doors in 2015, after many months spent working on the barrels trying to discover the secrets hidden away within them and fine-tuning our relationship with this sublime product. “In my case, this is a return to my roots, because I come from a wine-making family, so I’m taking a little step back towards the world I come from. For Valeria, it’s all about carrying on the family tradition, the splendid heritage passed on by her grandfather, making it accessible to anyone with an interest in – or even simply curiosity towards – this precious nectar. We have made a vow, and it’s our turn now. Granddad Libero may not even have imagined that one day his beloved vinegar would be in our hands…. and we are not about to disappoint him.